Yarn Type A lovely 50% Cotton and 50% Wool blended yarn. Hand wash cold. 8 designs for women by Sarah Hatton using Rowan Summerspun and Rowan Purelife Revive. 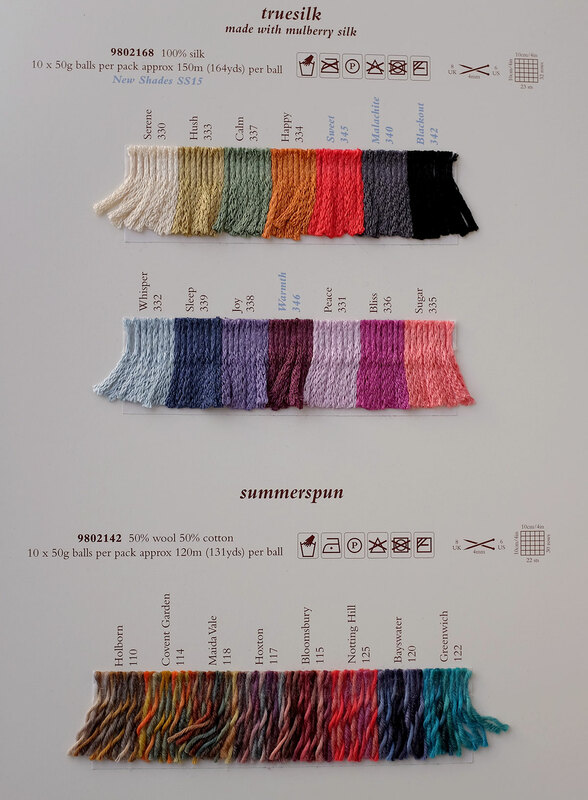 The yarns used are interchangeable for all the patterns which make the most of the beautiful texture of each yarn. The collection features elegant fitted tops and waistcoats to loose fitting tops and cardigans. A collection featuring 12 garment designs for women which pick up on the key trend for colour on colour layering with a 70's influence using Summerspun.